This one was a no-brainer for the Padres. The no. 5 prospect in the Padres system according to MLB Pipeline, Paddack came back from Tommy John and laid waste to High-A Lake Elsinore, pitching a pristine 2.24 ERA with an even better 1.79 FIP and 1.77 xFIP. Paddack also struck out 84 batters and walked a mere 4. Impressed by this, the Padres sent him up to Double-A to see if he could keep up the pace. And keep up the pace he did. Paddack pitched 37.2 innings and collected a 1.91 ERA with a 2.31 FIP and 3.12 xFIP. Paddack would also strike out 37 batters and walk four again. His hot streak came thanks to his excellent control and biting changeup with a bulldog-like attitude on the mound. 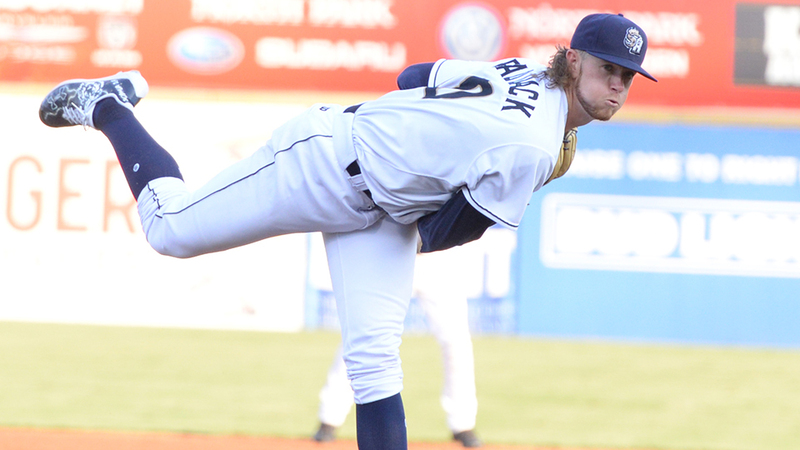 It is not a stretch to see Paddack getting an invite to the Major League Spring Training camp and if he makes strides with his curveball, the rest of the league better watch out. Espinoza has had a rough go as of late. After a promising start with San Diego, Espinoza got injured and missed much of the 2017 season with a right elbow strain before being shut down with Tommy John surgery, wiping out his entire 2018 season. However, now is not the time to give up on Espinoza. He is currently ranked No. 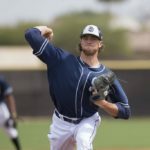 12 prospect in the Padres system according to MLB Pipeline, and he has slowly but surely made his way back to the playing field and resumed throwing activities. 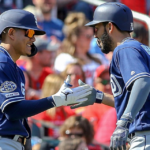 He is in the same boat as Paddack was a year ago, and he should be back and pitching by the beginning of this season. 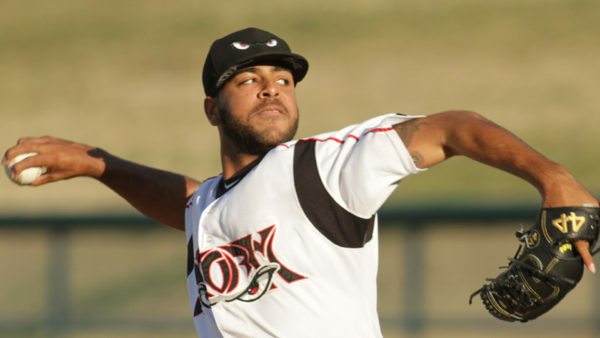 Anderson Espinoza threw bullpens during instructs but wasn't put into games. He will face live hitters in the spring. He appears headed for a path similar to Chris Paddack's 2018. The Padres, of course, would gladly take a repeat of Paddack's numbers. Unfortunately for Allen, he seems to be stuck between a rock and a hard place. 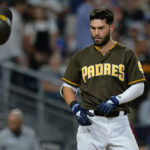 Not only do the Padres have two catchers in the Majors already (Austin Hedges and Francisco Mejia), he also can’t go anywhere in the Rule 5 Draft because the Padres have to protect him. While this isn’t bad for the Padres, it does limit his chances of making it to the Majors with the Padres. His plus-plus power was demonstrated at the Double-A level and the Arizona Fall League while maintaining good walk rates and batting averages. While he is not regarded as the greatest catcher, he is slowly improving his abilities behind the plate. 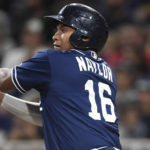 As long as he is a Padre though, he will consistently be blocked in the Majors and will be an attractive piece for other teams who want a good hitting catcher. Oh, how fortune has smiled upon Ty France. Selected in the 34th round out of San Diego State, France brings a high-contact rate and good patience to the plate while playing a position of need for the Padres; third base. With Villanueva off the roster now, the 24-year-old is now a dark horse candidate to fill the need at the Major league level. France’s power finally came into play, hitting 22 total home runs across Double-A and Triple-A with ISO rates of .186 and .245 respectively. While he may not be the slickest fielder, it is clear that San Diego wants to get a closer look at what France has to offer to the big league squad. Sometimes forgotten amongst the swaths of pitching prospects is Avila, who was acquired from the Nationals for Derek Norris in 2017. 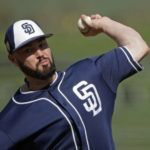 Avila had an up-and-down season with the Lake Elsinore Storm, but his 142-to-54 strikeout to walk ratio was surely a deciding factor in the Padres placing him on the roster. He won’t blow any away with his stuff, but Avila will get the job done when his name is called. He had some extraordinary games at Lake Elsinore and he has the potential to be a back-end starter. The Padres just didn’t want to see him leave and have success with another team and chose to hang on to him. The main prize from the Yangervis Solarte trade, Olivares had a good year at Lake Elsinore with a .277 batting average while playing a solid center field. His potential must have been tantalizing to opposing teams, so San Diego went with the safe route and put him on the roster. He has been lighting the Venezuelan League on fire after gaining more muscle, collecting a ridiculous .340/.404/.479 batting line with two home runs and five stolen bases. While he may not be cracking the Major League roster anytime soon, Olivares is a prospect that could quickly rise through the ranks next season. Now for the final Padres prospect to be added to the roster, Reyes has spent his entire Padres career as a reliever. 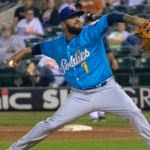 Reyes spent his 2018 in Double-A and impressed, collecting an 11.31 K/9 and 3.92 BB/9 while pitching 39 innings. His 3.00 ERA may have been intriguing to some teams, and his impressive slider can get strikeouts, so the Padres opted to stash the righty on their roster with the possibility of him making the big league roster at some point in 2019. 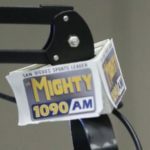 That is a complete recap of the Padres wild Tuesday. 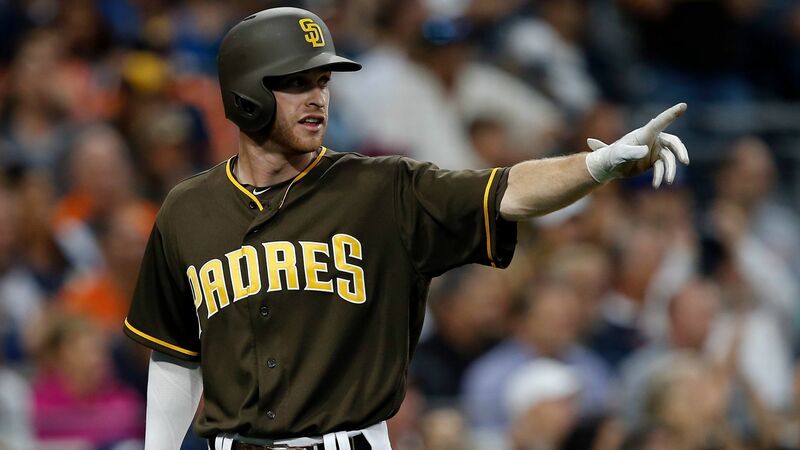 The Padres did leave some players off, like Michael Gettys and Hansel Rodriguez, but with only a limited amount of space on the 40-man roster, not everybody could have made the cut.